One of the best things about in-ear monitors is that they eliminate most of the other sound sources competing with your personal monitor mix, allowing musicians to hear exactly what they want to hear and not what the person next to them wants to hear. The downside of that, though, is in-ear monitors eliminate most of the ambient sound cues that sound natural to us and that foster a connection with the audience and other musicians. One great way to restore some of that is by adding ambience audio to your monitor mix. What Will Ambience Help With? 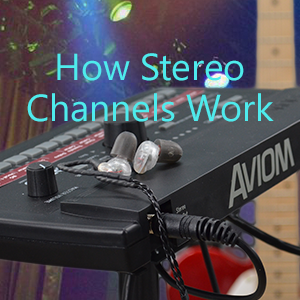 The first thing you should decide before embarking on adding ambience to the monitors is what exactly the musicians want to be able to hear more or differently. Consider how musicians have worded their complaints: are they identifying specific things (the audience or one another, for instance) that they want to hear better, or are the complaints vaguer (for example, “it just doesn’t sound right” or “I feel like I’m in my own world”). These comments will provide you some important direction about how to help musicians improve their monitor mixes. This issue is one that ambience can help with a lot, by bringing some of those sounds back into the musicians’ in-ear monitors. How you actually get ambience into the monitor mixes will be determined by how much time you can devote to tweaking, how eager you are to do some experimenting, what gear you have available, and what the musicians want to hear (audience, each other, the room itself, etc.). 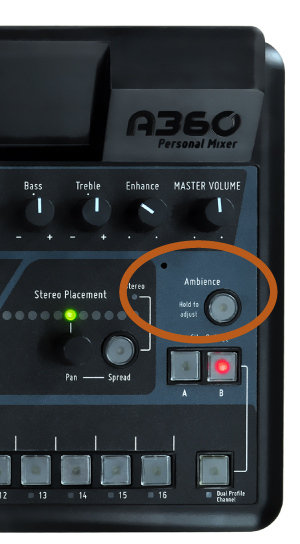 If you want no-work-required ambience and you’re using A360 Personal Mixers, you can use the built-in ambience mic that’s assigned by default to the One-Touch Ambience control on the A360. That mic works great for allowing band members to hear one another between songs in rehearsals and allowing some general ambient sound into the mix, but it has the limitation of being a mono mic right near the musician. If you’re willing to spend a bit of time getting ambience set up, you can give musicians exactly what they want to hear. 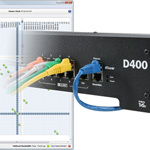 The basic idea is simple: position mics around the room where they can pick up the sounds you’re trying to capture and add a mix of those channels to musicians’ monitor mixes or personal mixer feeds. The number and position of the mics will be determined by the room, your goals, and your available gear. Some experimentation will be needed to get the best results. 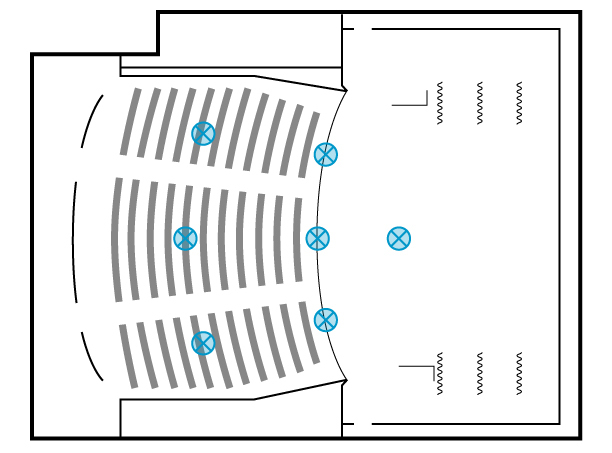 A typical performance space with possible locations for ambient mics are shown. Experiment to find out what works best in a given space. 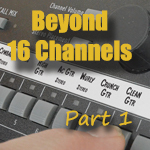 In Part 2, we discuss how to get great sounding ambience if you go with setting up room mics. Ask and ye shall receive! It’s posted now, Lewis. View it here.